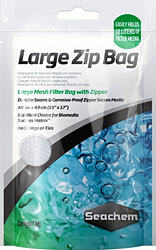 Product Detail: Zip Bag Large 19"x17"
The Bag Media Bag 5"x10"
Product Name: Zip Bag Large 19"x17"
Large mesh filter bag with zipper measuring 19” x 17” (48 cm x 43 cm). 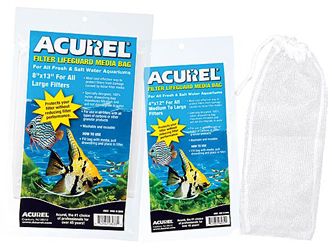 With its durable seams and corrosive-proof zipper, this is your go-to bag for up to 18 liters of filter media! 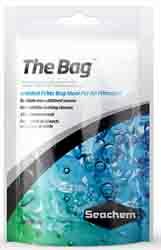 This media bag requires no strings or ties, making it an excellent, hassle free choice to contain large amounts of biological media.